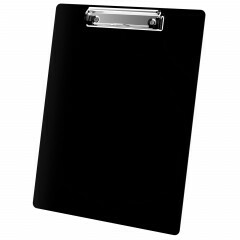 MDF Sticky Note Clipboard Our MDF Sticky Note Clipboard features HDF (medium-densit..
HDF Sticky Note Clipboard Our HDF Sticky Note Clipboard features HDF (high-den..
Server 4 x 8 MDF Clipboard Our Server 4 x 8 MDF Clipboard features MDF (medium-dens..
Black Storage Clipboard Secure all your documents inside this Black Storage Clipboard to prot..
MDF Butterfly Clip Server Our MDF Butterfly Clip Server Clipboard features MDF (Medium.. Memo Size 5 x 8 MDF Clipboard The Memo Size 5 x 8 MDF Clipboard holds 5 x 8.. Pink Storage Clipboard Secure all your documents inside this Pink Storage Clipboard to protec..
Chevron Switchboard Server - Teal & Copper Our Chevron (switchboard) Server featur..
Chevron Switchboard Server - Teal & Coral Our Chevron (switchboard) Server featur..
Copper Chevron Butterfly Clip Server Our Chevron Server features MDF (medium-density fiberb..
Coral Chevron Butterfly Clip Server Our Chevron Server features MDF (medium-density fiberbo..
Server 4 x 8 HDF Clipboard Our Server 4 x 8 HDF Clipboard features HDF (high-densit..
Silver Chevron Butterfly Clip Server Our Chevron Server features MDF (medium-density fiberb..
Teal Chevron Butterfly Clip Server Our Chevron Server features MDF (medium-density fiberboa..